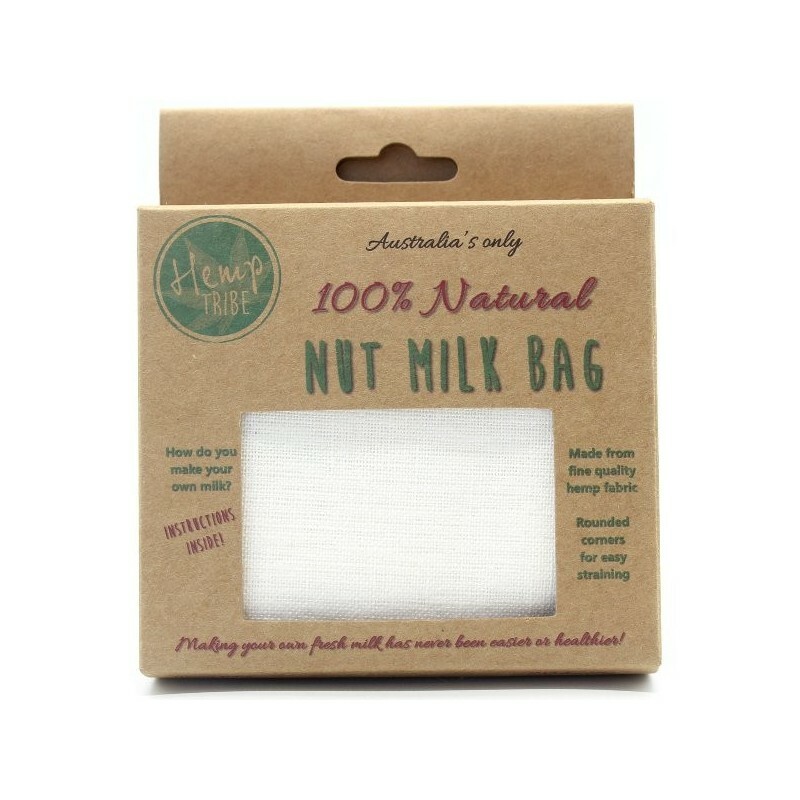 This 100% natural nut milk bag is made from quality hemp. Vegan, biodegradable and compostable,this bag Can also be used for sprouting, making cheese, straining sauces, juice, teas, broths and more. 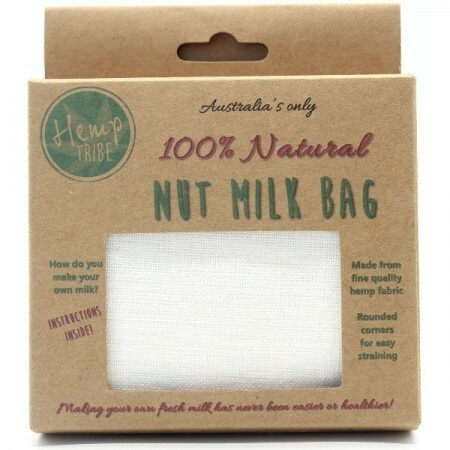 See our post "How to Make Your Own Nut Milk: Less Waste, No Additives and More Value"
Hemp is a naturally renewable and environmentally friendly resource. Biodegradable and compostable inclusive of packaging. Made from fine quality hemp fabric and quality tested. No dyes, bleaches, softeners or sythentic used in manufacturing. Naturally mildew and microbe resistant. Tightly woven, producing pulp-free milk. Sewn with strong, durable unbleached cotton. Rounded corners for easy straining and cleaning. Hemp it grown without the use of synthetic chemicals. 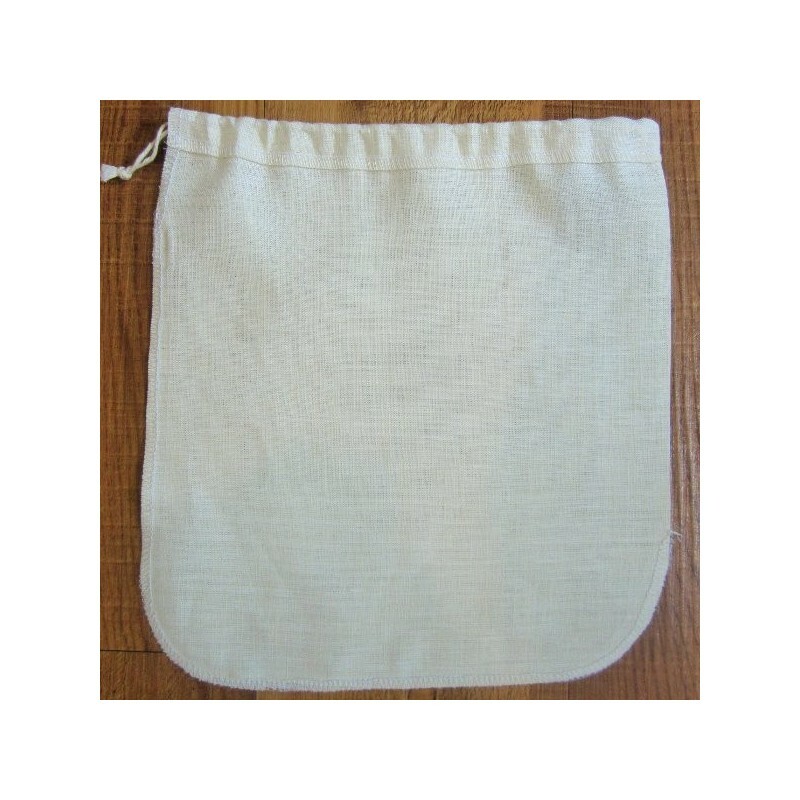 24cm x 27cm / 100% unbleached hemp fabric, 100% unbleached cotton sewing threads and drawstring. Australian company. Hand-machined in China. We drink about 2 litres per week of homemade almond milk and love using the pulp in baking. The first time I purchased this bag, the stitching came under and made a hole for the pulp to come out after a month or two of use. Maybe I was squeezing too hard. I've purchased again to see if it was a once off. I love this product due to the face it is all natural and works a treat. I am so happy I get to use this product daily with making herbal teas, nut milks and broths.